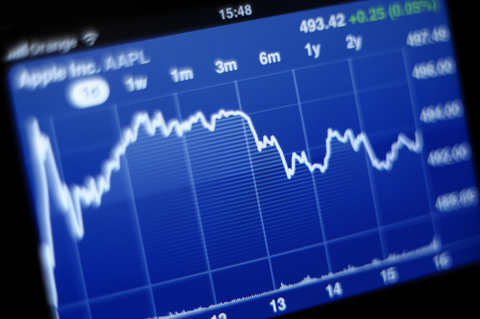 Would You Bet on Apple Shares Hitting $750? Apple seems to be going from strength to strength with high share prices and exciting new products. Paddy Power will even give you odds of 10/3 that the share price at the end of this year will be above $750. However, with odds of 11/8, it seems more likely that the share price will be somewhere between $650 and $700. Paddy Power will even give you odds of 10/3 that the share price at the end of this year will be above $750. However, with odds of 11/8, it seems more likely that the share price will be somewhere between $650 and $700. At present Apple shares cost roughly $626, up 55.3% since the beginning of the year. However, despite another high profile product launch and excellent sales forecasts, there is still some concerns for Apple. Apple shares reached an all-time high of $704 when the iPhone 5 was launched. The shares have since declined by $69.81, about a $60 billion loss in market capitalisation. While Apple has reason to be optimistic the market is obviously somewhat skeptical about the future of the company. There are many reasons for this. First of all is the passing of Steve Jobs, it is unlikely that the company will see the same growth and innovation under Tim Cook as it did under Jobs. Secondly, more and more competitors are producing the same or better quality products, but at cheaper prices. These are just a couple of reasons, but the drop in share price reveals the market’s doubts.